As we continue our series of nanobewery interviews, I had the opportunity to chat with Grace and Christopher Tkach, owners of Idle Hands Craft Ales. Idle Hands, which is located just north of Boston in Everett, MA, is a nanobrewery on the verge of releasing its first beer (Pandora), which should be out mid-to-late spring. The brewery is a self-designed, custom-built 1.5 bbl system made from 55 gallon stainless steel barrels. The Tkachs have begun fermenting in 60 gallon plastic conicals for economical reasons, but plan to upgrade after the brewery has become more established. Idle Hands is planning an extremely local approach to distribution, as they will be initially self-distributing their beer mainly within the 128 beltway of Boston. However, if you live outside of this region, the brewery will also have a tasting area to accommodate visitors and potentially fill growlers, pending town approval. 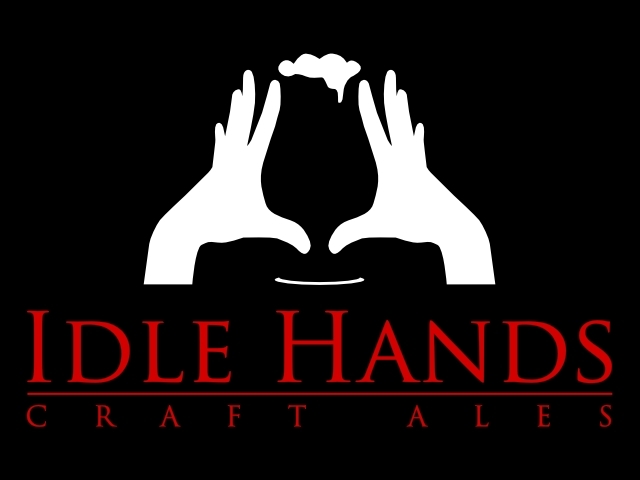 Below is the first part of our two part Q and A interview with Idle Hands Craft Ales. Lug Wrench (LW): What inspired you to start-up Idle Hands Craft Ales? Idle Hands (IH): The idea of starting a brewery was something Chris always dreamed about since he received his first homebrewing kit at the age of 21. However, it was not until the last 18 months, that the aspect of starting a brewery started to get some legs. Chris had been reading about nanobreweries cropping up in the industry and our decision was sealed after an impromptu stop and tour of Maine Beer Company, a nanobrewery in Portland, ME. After speaking with David Kleban, the owner at Maine, we realized - and he encouraged - that such a business was possible. Once we visited Maine Beer Company, we realized that (starting a beer-related company) didn’t have to be that complicated. Starting small was a (relatively) inexpensive way to enter this business. It was incredible to learn that within just a year, the brewery was essentially paying for itself. After having this conversation with David and physically seeing a nanobrewery set-up, everything seemed much more accessible and things started to fall into place. Most importantly, Chris received tremendous support for his beer throughout the years. From day one and throughout his 16 years of brewing, he had been submitting his beers to local competitions and had done quite well in many of them. Since his re-engagement in brewing over the last 4 years, he was brewing so much, he had more beer on hand than the two of us could feasibly consume. We attended lots of parties and hosted several ourselves where Chris’ homebrew was a mainstay and center of many conversations. Our friends often commented that his beer was “really good”, often “better than other commercial beers”. They often asked if he was going to sell it. It was those words of encouragement that helped to grow the entrepreneurial bug that had already been planted. While we know our friends can be biased in favor, there was something to be said for the support they had. That support, coupled with knowing that unbiased beer judges rated his beer well, encouraged both of us to run with the brewery. Whether or not we make all of the right business decisions, in the end, we are confident our product will be good! LW: How did you gather the required capital to start the brewery? IH: We are fortunate that Chris’ current and past “day jobs” enabled him to build up some savings which we are using to start the business. Our recent wedding gift fund has helped as well! We knew we did not want to bring in any outside partners or investors so that we could maintain full creative license with the brewery. At some point, however, we may look for investors as we grow but for the time being, we are 100% self-funded. LW: How did you design your brewery? Where did you get all the equipment? IH: Chris reads a lot about beer and the brewing industry. When we started to look into things more seriously, he had already read about other nanobreweries in the making. The brewing community is very open so he was able to make connections with those brewery owners and he asked a lot of questions on how they designed their systems. He took a lot of design cues from other nanobreweries including Hess Brewing and Breaker Brewing. Chris has an engineering degree so he was able to utilize some of his dusty engineering knowledge to incorporate ideas from other breweries with his own to design both the physical layout of the brewery and the brewhouse itself. The 55 gallon stainless steel barrels came from a posting on Ebay. It was that posting that helped to inspire the entire brewstand process. From there it was about finding a welder that we trusted and drafting a set of drawings that he could follow. All of the fittings that got welded into the barrels came from supply houses like McMaster-Carr. Our fermenters were ordered from Tank Depot and we’ve used craigslist extensively for odds and ends including the walk-in cooler that will serve as both our fermentation room and cold room. With the brewstand, the one thing that troubled Chris most was the height needed between the burners and the bottom of the barrels. There was a lot of conflicting information on what the best height was. We hired a welder who came up with an ingenious system that allows us to adjust the height of the burners and thus “tune” them to the brewer’s preference. Our welder also came up with an adjustable system on the mash tun so that the pivot point on the dump can be adjusted up or down which allows us to mash different amounts of grain without worrying about the stability of the pivoting mash tun. IH: We have realized that the craft beer industry is a very tight knit community. It is extremely collaborative and surprisingly not competitive. There is tremendous support in the group of aspiring breweries just here in the Boston area and we all tend to lean on each other for advice. Nationally, the support is there as well. We hope that this camaraderie continues as we all find our individual places in the market. It has been great to see the excitement that people have for the project. Most people we have met have encouraged us to follow our dream and are excited to be part of it with us. There isn’t a day that goes by that we don’t receive an email from an eager fan asking a question or two about the brewery, whether they can help out or when they can expect our beer in the market. It’s been very validating. IH: It’s not a project for the faint of heart. It’s very time consuming and you need to be prepared to spend more time than you think on other aspects of the business other than the beer. The beer almost becomes secondary to things such as finding a location, dealing with the local government, filing the paperwork, talking to potential customers, managing the buildout, etc. Chris has brewed less beer in the last 8 months than he was expecting - that is for sure! Also, do whatever you can to find a space that is already 90% built to your needs and avoid having to build out the space yourself if you can. Finally, just remember there are others out there who have done what you’re trying to do. It is possible - it is tough, but ultimately will be a very rewarding experience. The brewing community has been extremely supportive - reach out to them. We have met a lot of passionate brewers and fans who have offered their help, advice and/or moral support. 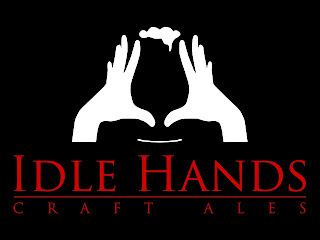 Part 2 of our interview with Idle Hands Craft Ales will be posted shortly.